Auraiya (Hindi: , Urdu: ?) is a city and a municipal board in Auraiya district in the state of Uttar Pradesh, India. It is district headquarters as well. 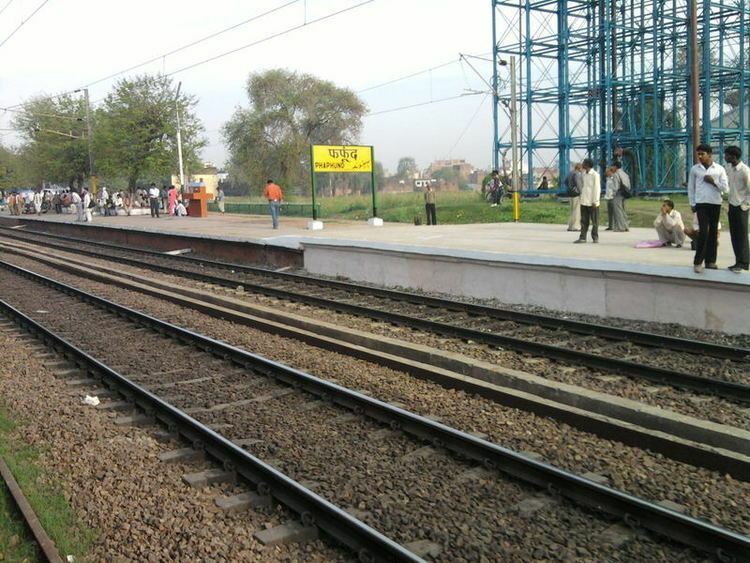 NH 2 passes through the center of the town.Dibiyapur RS is nearest Railway Station.Kanpur Airport is nearest airport. On 17 September 1997, two tehsils named Auraiya and Bidhuna were separated from district Etawah to form the new district named as Auraiya. Ajitmal is the new proposed tehsil of Auraiya district. It is situated on National Highway no. 2 (Mughal Road) and 64 km. in the east of district headquarters of Etawah and 105 km. in west of Kanpur city. 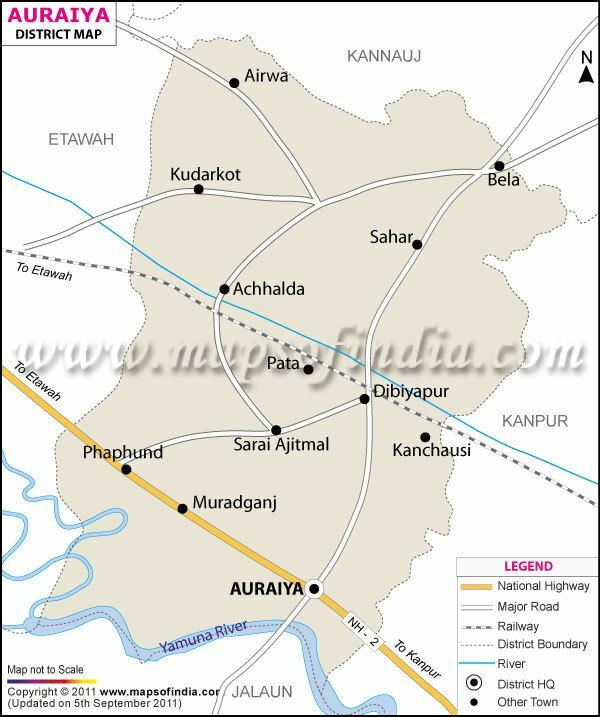 Boundaries and Area The district of Auraiya lies in the southwestern portion of Uttar Pradesh 26° 21" and 27° 01" north latitude and 78° 45" and 79° 45" east longitude and forms a part of the Kanpur Division. It is bounded on the north by the districts of Kannauj, western border adjoins tehsil Bharthana of the Etawah district and the district of Gwalior. The eastern frontier marches with the district of Kanpur Dehat, and along the south lie Jalaun. The total area according to the statistics of 1991-92 is calculated to be 2054 square kilometer. Auraiya lies entirely in the Gangetic plain, but its physical features vary considerably and are determined by the rivers which cross it. The area of Etawah and Auraiya districts is divisible into four portions of district natural characteristics. The first of these consists of the country lying north-east of the Senger river, which runs across it from west to east almost parallel to the Yamuna; it includes the northern portions of tahsils Etawah and Bharthana. The second tract lies south of the Senger and extends as far as the high lands immediately overlooking the Yamuna. It comprises a slightly undulating switch of country covering portions of Etawah and Bharthana and the bulk of an Auraiya Tehsil of Auraiya District. The tract includes the parts of some tehsils that adjoins the river Yamuna. Beyond the Yamuna, stretching from the borders of tahsil Bah in Agra to the confluence of the Sindh, Kuwari, Chambal and Yamuna rivers, lies the high and broken country formerly known as Janibrast. These tracts differ from each other in a very marked degree though each presents general conformity within its own limits. In the Pachar and Ghar tracts the soils are broadly distinguishable into dumat or loam, matiyar or clay, and bhur or sand. Besides these are found everywhere low-lying beds of clay in which water collects during the rains and rice alone can be grown; these clay beds are known as Jhabar. In the Kurka and trans-Yamuna tract several other classes of soil are met with. In the ravines of the river and the land immediately adjacent to them are found fields full of kankar and gravel, the soil of which is called Pakar; this is in fact a sandy soil mixed with gravel. 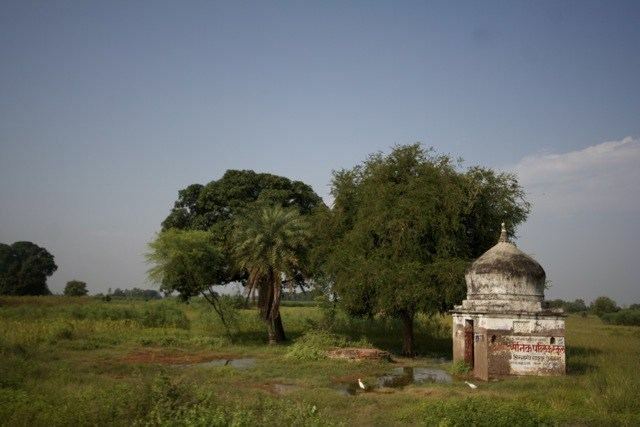 Below the ravines and in the wider valleys between them the soil that is flooded by the Yamuna is called kachhar; and along the edges of the streams there is a rich strip of alluvial deposit which is known as Tir. Both kachhar and tir vary greatly in quality: some patches of these soils consist of a rich reddish clay which lets at a high rental; other portions are composed of a dark colored loam; and others again are while and sandy in appearance and less fertile. River System The rivers and streams of the Auraiya and Etawah districts jointly consist of the Yamuna its two large affluent, the Chambal and, the Kuwari; the Sengar, and its tributary Sirsa; The Rind or Arind and its tributaries the Ahenya, the Puraha and the Pandu. The methods of cultivation in this district are generally the same as those found elsewhere in the Doab. The application of manure and the use of water for irrigation are extensively resorted to. There are the usual harvests known as the Kharif or autumn, the Rabi or spring and Zaid or extra harvest. The Kharif crops are shown in Ashadha- Sravana and reaped in Kuar-Kartika after the cessation of rains usually well before the preparation of fields for the Rabi sowings which begin in October–November i.e. Kartika and Agrahanya and are harvested in March–April and even May. The Zaid consists of vegetables and low grade cereals sown in March or April and reaped before June. The system of double cropping is followed to a considerable extent in the district owing to the facilities for irrigation. The figures of dofasli area for the different tahsils do not exhibit any great variations, but the proportions are highest in Bidhuna and Bharthana and the proportion is lowest in Auraiya. 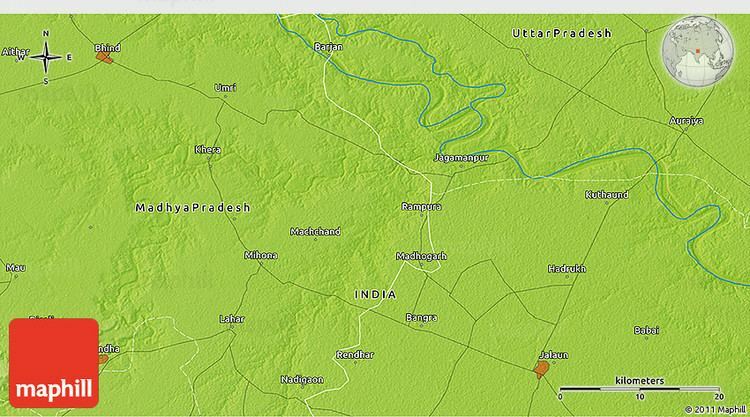 The Uttar Pradesh Petrochemical Complex(UPPC) of Gas Authority of India Limited is located at Pata, Distt. Auraiya, U.P. It was set up in accordance with GAIL mission to maximise the value addition from each fraction of Natural Gas. 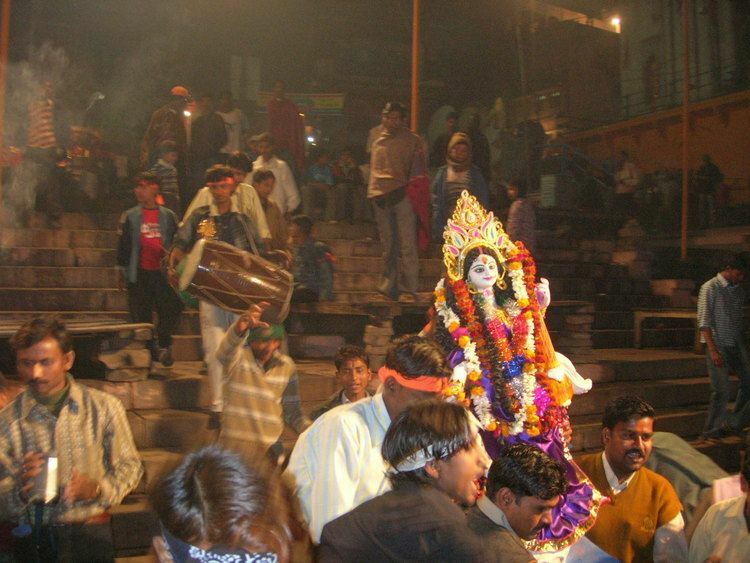 The series of festivals commence with Sheetla Ashtmi, which falls on the 8th day of the first fortnight of Chaitra, the first month of the Hindu calendar, when goddess Sheetla is worshipped. The 9th day of the bright fortnight of that month is called Ram Navmi, when the birthday of Lord Rama is celebrated with great rejoicings and fairs are held at Lakhna and other places. The 10th day of the latter half of Jyaistha is called the Ganga or Jeth Dasahra, when the Hindus take a bath in the river. Nag Panchami falls on the 5th day of the bright half of Sravana, when the Nagas or serpent gods are worshiped by offering of milk, flowers and rice. On Raksha Bandhan, which falls on the 15th day of bright half of the same month, rakhis (thread symbolising protection) are tied by sisters around the right wrist of their brothers and by Brahmana priests to their patrons. Janmashtmi is observed on the 8th day of the dark half of Bhadra to commemorate the birth anniversary of Lord Krishna. The 30th day of Asvina is the Pitra Visarjan Amavasya, when manes are propitiated. The worship of Durga is continued for nine day during the bright half of Asvina, known as Nav-Ratri and the 9th day of that is known as Durga Naumi. The next day is Dasahra or Vijaya Dashmi, dedicated to the worship of goddess Vijaya, also commemorating the victory of Rama over Ravana. The Ramlila celebrations are held at various places in the district. The 4th day of the bright half of Kartika is called Karva Chauth, when married women keep fast for the well-being of their husbands. Deepawali falls on the last day of the dark fortnight of Kartika, but festivities start two days earlier with Dhan Teras, celebrated as the birth day of Dhanvantri, the divine physician. On the main day of the festival every Hindu house is illuminated and the goddess Lakshmi is worshipped. On the third day of Deepawali, after Goverdhan and Chitragupta or Dawait puja, Bhaiya Dweej is celebrated when ladies put Roli mark (tika) on the forehead of their brothers. On the 8th day of bright half of that month, the Gopasthmi is celebrated when the cow is worshipped. A big bathing festival is organised on Kartika Puranmashi, the full moon day, when people take a bath in the river and fairs are held at different places in the district. The Sakat Chauth falls on the 4th day of the dark half of Magha when the male children cut the figure of a goat made of til and their mothers keep fasts. A fast observed and the temples of Shiva are specially decorated. For the Arya Samajists, Shivaratri is a memorable day because Dayananda, the son of a devotee of Shiva and the founder of this school got enlightenment on this night. They celebrate the week preceding this day as Rishi-bodha-saptah and arrange discourses by learned scholars for the seven days. About sixty fairs, big and small, are held annually in the district. Most of the festivals are accompanied by local fairs too. Of these, the exhibition and cattle fair of Etawah is the most important. They are attended by about 2,00,000 persons and heads of cattle sold number between 10,000 and 15,000. They celebrate almost all the important festivals, but the number of their festivals is limited. The important ones are being given below. Their festivals start with the Ashra (Muharram), which falls on the 10th day of Muharram. The first ten days of the month of Muharram are devoted to commemorate the martyrdom of Imam Husain, the grandson of the Prophet of Islam and His companions on the battle field of Karbala, and are particularly observed as a mourning period by the Shias. On Ashra, the last of the ten days being the most important one, when Imam Husain was killed, the tazias are taken out in procession for burial at Karbala. Chehlum, on the 20th of Safar, failing on the 40th day from Ashra, usually marks the end of the period of mourning. On the 12th of the month of Rabi-ul-Awwal falls Barawafat which marks the birthday of Prophet Muhammad, when alms art distributed and discourses on His life and missions are held. Shabe-barat the 14th day of Shaban, is a festival of rejoicing marking the birth of the 12th Imam. It is celebrated by a display of fireworks, distribution of sweets, and fatiha prayers for the peace of the souls of departed ones. Ramzan is the month of fasting and on its expiry i.e. on visibility of the moon the festival of Id-ul-fitar is celebrated on Shawwal Ist by offering namaz in Idgahs and mosques, and exchanging gifts and greetings. The Id-ul-Zuha their last festival, is celebrated on the 10th of the month of Zilhij, to commemorate the occasion when Prophet Ibrahim resolved to treat his son Ismail as an offering to mark the highest form of the sacrificial spirit which was blessed by God the mercifulo who rewarded him by not busting Ismail and having a sheep to sanctify the altar instead. The Muslims say their namaz (community prayers) in Idgahs and sacrifice sheep and goats. The typical feature of these two festivals is the eating of sewain. The important festivals of Shikhs are the birthdays of Guru Nanak Deva and Guru Govind Singh when processions are taken out, congregational prayers are held in gurdwaras and extract from the holy Granth are recited. Their festivals are Baisakhi and Lohri, local fairs are held at gurdwaras on each occasion. The important festivals of the Christians are Christmas, falling on 25 December, marking the birthday of Jesus Christ, Good Friday which commemorates his crucifixion, and Easter in memory of his resurrection. New Years Day (1 January) is also celebrated by them and the Christmas celebrations usually end with new year. They celebrate the birth and the nirvana anniversaries of the last Tirthankara, Mahavira, the former on the 13th day of the bright half of Chaitra and the latter on the Deepawali day. The Paryushan or the Dashalakshanaparva, during the last days of Kartika, Phalguna and Asadha are the periodical holy days when the devotees observe a fast and perform worship in temples. The principal festival of the Buddhists is the Buddha Purnima, celebrated on the last day of Vaisakha, which marks the birthday of Buddha as well as his nirvana. A typical day-to-day traditional vegetarian meal of the district, like any other North Indian thali, consists of roti (flatbread), chawal, dal, sabji, raita and papad. Many people still drink the traditional drink chaach with meals. On festive occasions, usually tava (flat pan for roti) is considered inauspicious, and instead fried foods are consumed. A typical festive thali consists of puri, kachori, sabji, pulav, papad, raita, salad and deserts (such as sewai or kheer). Wheat constitutes the staple food of the people, other materials commonly consumed here as food being maize, barley, gram and jowar. 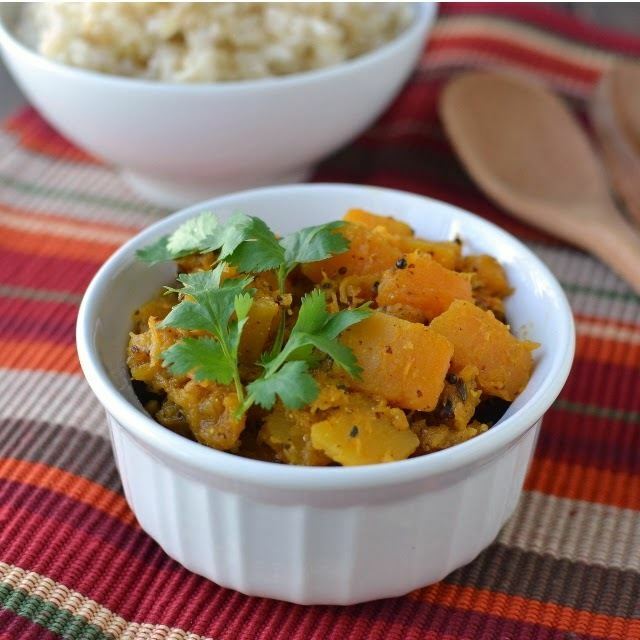 Chapaties prepared from kneaded wheat or corn flour are generally eaten with dal or gur and milk. The pulses consumed here are urd, arhar, moong, chana, masur etc. Sweets occupy an important place in the diet and are eaten at social ceremonies. People make distinctive sweetmeats from milk products, including khurchan, peda, gulabjamun, petha, jalebi, makkhan malai, and cham cham. The samosa, gol-gappa, chaat and Paan is consumed across the whole district for its flavour and ingredients. Wheat constitutes the staple food of the people, other materials commonly consumed here as food being maize, barley, gram and jowar. Chapaties prepared from kneaded wheat or corn flour are generally eaten with dal or gur and milk. The pulses consumed here are urd, arhar, moong, chana, masur etc. One major meal is taken at about 1 P.M. in the day. Breakfast consists of tea and any of the Indian or western stuff. At nightfall the people take a light meal. Among edible fats ghee, vanaspati and mustard oil are more commonly used. The pure ghee of Etawah is quite famous for its thickness and purity. Spicy diet is not preferred though people are quite fond of pickles, chutneys and bari-mangauris. Most known sweet of Auraiya is "Jalebi" , which is formed by besan and melt sugar. The "rasgullas" is also famous as well. The most of sweets is formed by milk. The "rabadi" is also a combination of milk and sugar and some of other things.